Sauer joined ZF in 1990. MUNICH – German driveline and transmission supplier ZF Friedrichshafen AG has named Konstantin Sauer as its new chief financial officer. Sauer, 50, will replace Willi Berchtold effective May 1. 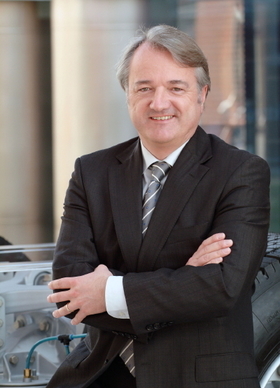 Berchtold, 59, has been on the ZF board for five years. He will continue to serve ZF as an advisor until the end of September. Sauer is currently executive vice president of ZF Lemfoerder GmbH, a ZF AG unit that specializes in chassis and steering technology. He also is head of finance, controlling, information technology and materials management at the unit's car chassis technology division. During his two decades with ZF, Sauer has served as president of ZF Group South American and CFO of ZF do Brasil. He returned to Germany in April 2005 to head the controlling activities of ZF Group. He started his job at ZF Lemfoerder on March 1, 2007. Due to his technical expertise and thorough knowledge of the company's domestic and international operations, Sauer is "ideally suited to become a member of the ZF board of management," ZF Supervisory Board Chairman Giorgio Behr said in a statement. ZF ranks No. 9 on the Automotive News Europe list of the top 100 global suppliers, with sales to automakers of about $16. 9 billion in 2008.